Not equipped with the speed to catch the golden snitch? 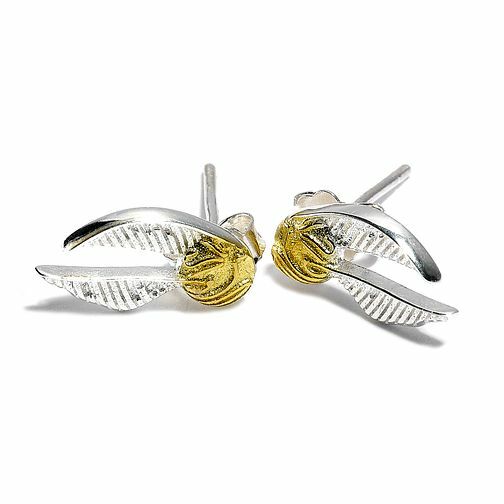 Not to worry, with these beautiful silver & gold plated golden snitch stud earrings, the golden snitch can still be yours. Pair these stunning two-tone earrings with your favourite day time outfits for the perfect Potter finishing touch! We boast only the highest of quality for our Harry Potter pieces. Harry Potter Sterling Silver Golden Snitch Stud Earrings is rated 5.0 out of 5 by 14. Rated 5 out of 5 by Anonymous from Delicate They were smaller and more delicate than expected but I actually liked them more for that reason!